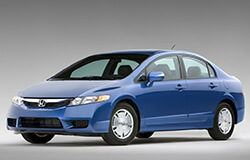 Honda vehicles are known for their safety, longevity, fuel efficiency and all-around quality on the road. You’ve taken the time to choose the best Honda for your family and your lifestyle, so make sure you choose the right Honda service shop to take care of all your Honda maintenance and Honda repair service needs in Austin, TX! At Dave’s Ultimate Automotive, we have specially trained Honda service experts at each of our three locations, allowing us to be your friendly Honda dealership alternative in North Austin, Round Rock, Cedar Park, Central Austin and Pflugerville, TX. Our mechanics are highly experienced, ASE Certified Technicians and utilize state-of-the-art technology and diagnostic equipment to properly repair and maintain all years and models of Honda vehicles. Did we mention that all of our Honda repair services are guaranteed by a nationwide 24 month/24,000 mile warranty? When you bring your vehicle to Dave’s Ultimate Automotive you can be confident that it is truly in the best hands. We also are happy to provide free vehicle safety checks on your car’s air conditioning, brake system, alignment and check engine light, further helping you and your family stay safe on the road! Dave’s Ultimate Automotive is a local, family-run auto repair shop specializing in Honda repair services in Austin and Pflugerville – and we always treat your vehicle with the care and consistency as if it were our own! We invite you to talk to one of our friendly service advisors today to schedule an appointment, learn more about our automotive services or even discover how the preventative Honda maintenance services we can perform will help increase the life of your automobile. We are always here to help!